"VOTED #1 ON LONG ISLAND 5 YEARS INCLUDING THIS YEAR 2019" "VOTED DAN'S BEST OF THE BEST 5 YEARS IN A ROW" Specializes in in residential roofing, Offering Lifetime warranty's on entire Roof "systems" (not just shingles). Expert diagnostician, we find the problem every time ! just look at my reviews ! 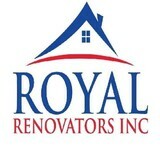 , Expert in ventilation systems , and we are Certified Master Elite GAF Weather stopper Installers. WE OFFER FULL ROOFING AND SIDING SYSTEMS. We are fully insured and licensed , uphold an accredited A+ status with the BBB , no complaints with Consumer Affairs and over 17000 happy customers ! Welcome to Prime Value Home Remodeling Group! If you’re looking for high quality and exceptional service, you’ve come to the right place! At Prime Value Home Remodeling Group, we’ll give you the attention and exceptional service you’ll come to expect and enjoy. We fully understand all the implications associated with roof repair or replacement. Maintaining a sound roof literally tops the list of crucial home repairs; It keeps you & your family warm and dry, along with everything in your house. If you happen to notice any damage or signs of wear call for immediate action to prevent water from seeping under the shingles and rotting the wood sheathing beneath. Ignoring a problem (even one that appears to be a small one) could possibly accelerate the need to reroof and can add hundreds of dollars to the cost of a new roof. So if you have a small water leakage or a broken Shingle don’t wait! Call Prime Value Home Remodeling Group and speak with a leading professional today! 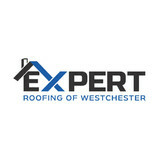 Expert Roofing of Westchester is a fully licensed and insured roofing company that operates in and around Westchester County. Our business is family owned and operated and we have over 15 years experience repairing and installing roofs, chimneys, gutters, skylights, siding and a wide range of exterior construction services. We are set up to handle residential and commercial projects of any size. Contact us today for a free roofing quote for your project. Nivelo General Construction LLC, is a family business and was founded in 2003 by Vic Nivelo this roofer has focused on the future of the family because we've worked together with my brothers for quality workmanship of our service to the community of West Orange New Jersey 07052. Vic has been the person who has worked in the roofing work for more than 10 years to deliver projects of high quality roof to every customer. Because we believe that a good job should create another roof across the network of satisfied customers in the past. and based on customer referrals and satisfaction. We understand you’ve got many contractors to choose from in New Jersey to complete your Home Remodeling projects. We just want you to know that when you choose us to complete your home remodeling project you’re not just getting a contractor. You’re taking on a valued partner with 10 years experience in making New Jersey homes more enjoyable, more suitable places to live for families just like yours. Nivelo Construction is one of the leading roofing contractors in Passaic, Essex, Unión, Middlesex, county of New Jersey, and our reputation is based on our quality custom work, with competitive prices and dedication to exceed expectations client. We offer a wide variety of services, including ventilation systems for all types of pitched and flat roofs, shingles, rubber, vinyl siding, skylight, gutter, Chimney, windows and doors, and all types interior and exterior repairs and much more .. ... Nivelo Construction LLC protects your property with 2 million Comprehensive Liability Insurance and full operations and insurance products. All of our employees are covered by workers compensation. Segelman Shaw Roofing, Siding & Gutters is a Residential & Commercial roofing contractor servicing Rockland County NY, Westchester County NY, City of Yonkers, Bergen County & Northern NJ. We’ve been the local roofer here since 1998 & Certified GAF Master Elite installers specializing in Emergency leak repairs. Classic Remodeling Corp. is a family-owned roofing and siding company that has been serving Northern New Jersey for over half a century. From our headquarters in Hackensack, we’ve worked closely with homeowners throughout Bergen County and the surrounding areas, earning our keep through experience, a solid reputation, and thousands of referrals. We specialize in home siding and roofing, replacement vinyl windows, French doors, entry doors, and gutters—but we are far more than just a home improvement business. When you work with Classic Remodeling Corp., you get all the benefits of topnotch service from a GAF Master Elite® Roofer and Angie’s List Super Service Awardee. "The Leading Roofing Service Company" Is your roof on your home or commercial building damaged by recent storms here on Long Island ?. Thinking of repairing it gives you a headache ?. Do you have to re-roof your home or building or just want to check its condition? Then you have come to the right place! Keeping your roof on your home or building protected is what we have been in business doing for over thirty five years!At Long Island Roof Repair, we know your home is probably one of the biggest investments you have ever made and how important it is to protect it. Extreme weather we receive here on Long Island causes a lot of problems to roofs. At Long Island roof repair we offer you a really affordable range of roofing repair services and new roof installations. We are specialized in renovation of roofs, which include complete roof cleaning, roof coating, roof repairing and new roof replacement services for commercial and residential roof systems. At Long Island roof repair, we are accustomed to providing the best quality workmanship and advice to our customers. The wind, the rain, the sun and all the weather changes can be tough on your roof. Repairing or replacing your roof can be a real nightmare. You can avoid this by calling Long Island roof repair. As simple as that! Even if you have a major problem with your roof or only a small one, we provide a friendly, professional and reliable roof service. We are fully licensed and insured to carry out all roofing work that is needed here on Long Island NY. We have been protecting home and businesses here on Long island for over thirty five years! All work Guaranteed! Luna Siding and Roofing Inc. is a family owned and operated business that has more than 14 years of experience in the industry. Through the years, we have been the trusted general contractors for residential and commercial clients in Middletown, New York and surrounding areas. We were built and still run our company on value, integrity, and hard work. Our Mission at Luna Siding and Roofing is to build lasting relationships with clients by always being helpful, informative, trust worthy, and providing more than is expected. We live by the Golden Rule, and believe our trade is a profession that must exist on referrals of satisfied clients. We maintain these high standards by always treating our clients with respect, and recommending products that will stand the test of time. We perform in optimum conditions and we create work environments that are organized, safe, and efficient. Luna Siding and Roofing Inc. is the expert you can trust get your free estimate by calling today. 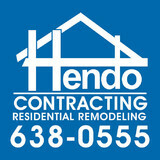 Welcome to Biondo Contracting, your NJ Roofing Contractor who can provide your NJ home with a new roof, roof repairs, or any of your roofing or siding needs. Biondo Contracting, uses only the finest quality materials, limiting your need for numerous costly repairs in the future. With our prompt and effective service, quality workmanship, and attention to detail, Biondo Contracting has set the industry standard in the area and will make your roof project the best that it can be. When you retain Biondo Contracting as your NJ roofing contractor, you get roofers in central NJ that not only meet, but will exceed your expectations. What do roofing companies in Glen Cove, NY do? Your Glen Cove, NY roofing contractor can install a new roof or repair an old one, as well as repair and replace gutters. Good roofers in Glen Cove, NY should be able to promptly inspect roofs and gutters to assess damage after a natural disaster or other event, and give you an estimate for the necessary roof repair immediately. Some Glen Cove roofing companies specialize in specific types of roofs, such as tile or metal, so make sure the one you are interested in works with the materials you have or desire. 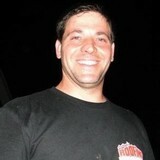 Find a Glen Cove roofer on Houzz. Narrow your search in the Professionals section of the website to roofing companies in Glen Cove, NY. If you’re planning a large-scale project, find other professionals on Houzz who can help get the job done. Here are some related professionals and vendors to complement the work of roofing & gutters: General Contractors, Specialty Contractors, Siding & Exteriors, Door Sales & Installation, Garage Door Sales & Installation.